Today’s recipe is dedicated to my sweet friend Joan- creator of the much-loved blog, ChocolateChocolateAndMore. Joan passed away unexpectedly last week at the young age of 49. She went to bed complaining of nausea and never woke up. It turns out that Joan died of a major heart-attack. Nausea is one of 6 heart attack symptoms in women. It’s important to take a peek at these symptoms as they are different for women than they are for men. Joan was such a lovely person inside and out. 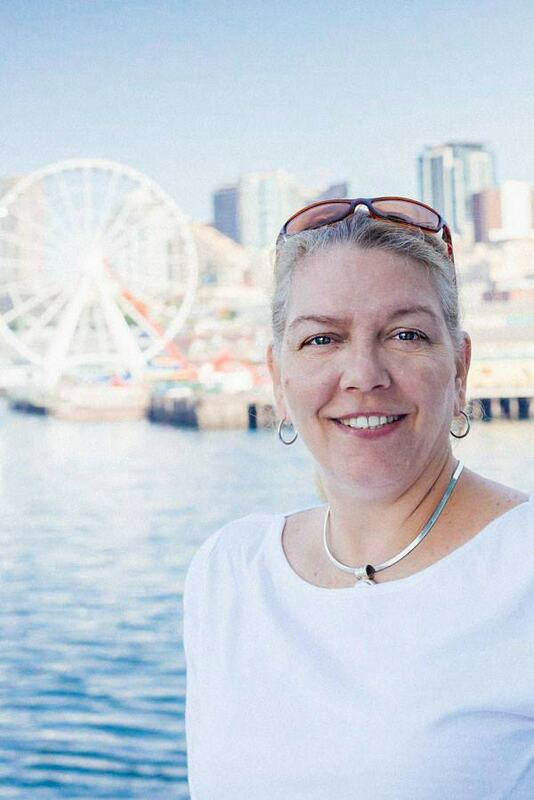 Her laugh was contagious, she was generous and kind, and she had a great mind for business. We talked and messaged each other quite often- sharing advice with each other about our blogs. As you can imagine, everyone who knew her is devastated to lose her. 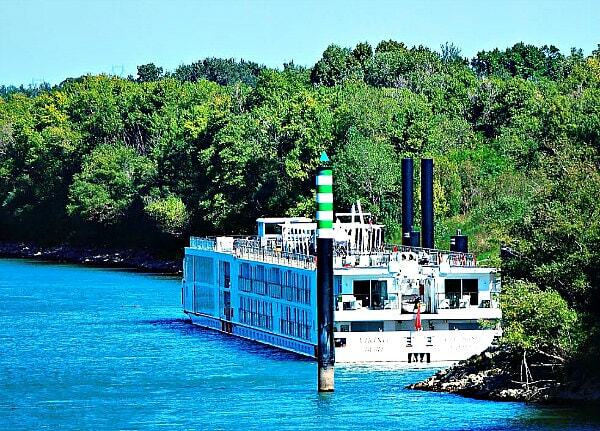 She leaves behind three children who she gushed about often. 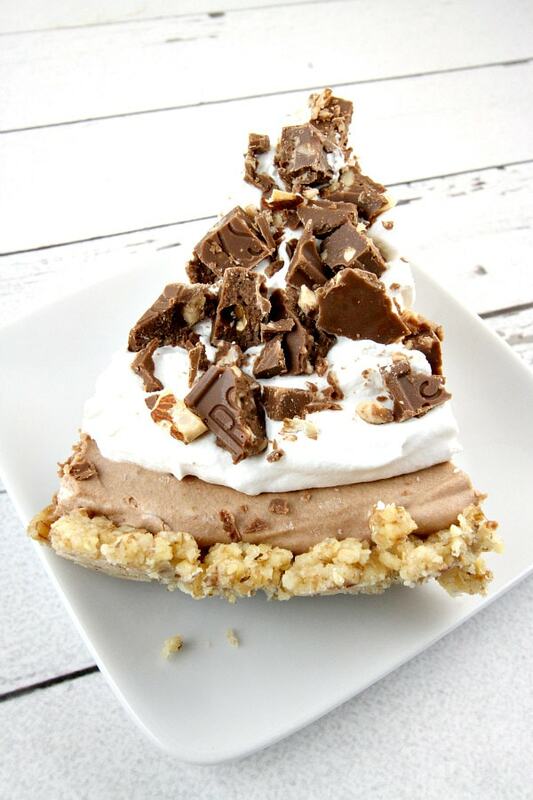 I know that Joan would approve of the recipe I’m sharing today- a chocolate candy bar pie! Of course, Joan loved chocolate. I hope she’s watching over all of the bloggers who are celebrating her today… as she is in our thoughts on National Chocolate Day… Joan’s day. 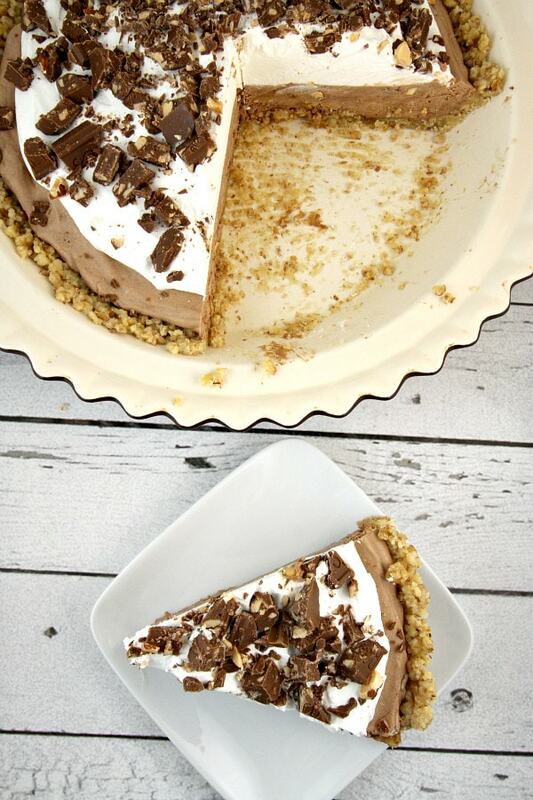 This pie has a walnut crust, so it just happens to be gluten-free. 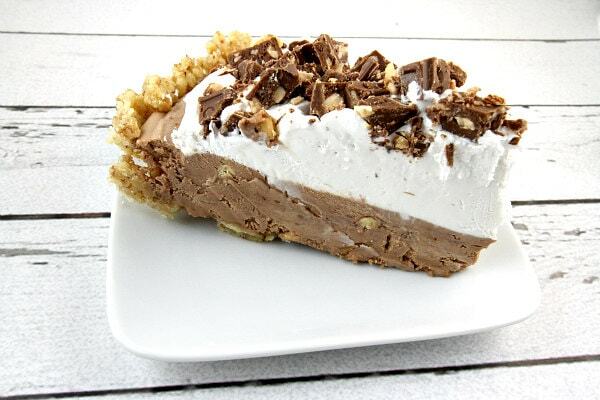 There is a rich layer of chocolate cream on the bottom, then whipped cream and chopped chocolate-toffee bars on top. Here’s a photo from the last day I spent with Joan- back in March. We had spent the weekend together at a beach house in Monterey with some of our favorite food blogging friends – chatting about business and creating tons of memories. 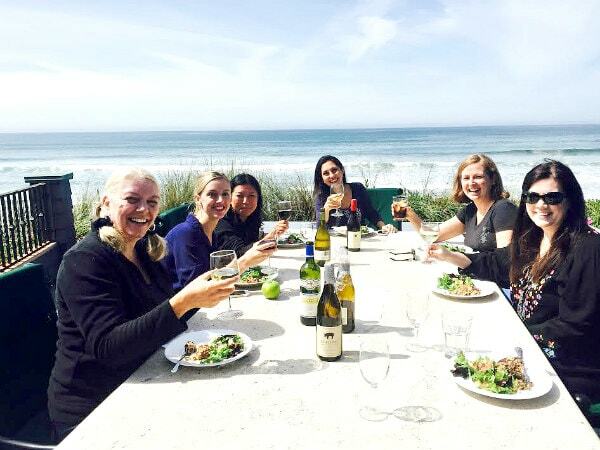 I’ll never forget our last lunch together- salad and wine… overlooking the ocean. That’s Joan on the left… always a smile on her face. I’ll miss you Joan. And every time I eat chocolate, I’m going to be thinking of you. 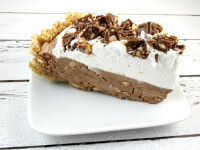 Please visit ChocolateChocolateAndMore for Joan’s delicious dessert recipes. Her family (and other bloggers) will be keeping her blog intact and adding new recipes too. Her kids will benefit from the revenue her blog continues to generate, so traffic to her blog will help with that. Prepare the crust: Preheat the oven to 325 degrees F. In a medium bowl combine the walnuts, butter and sugar. 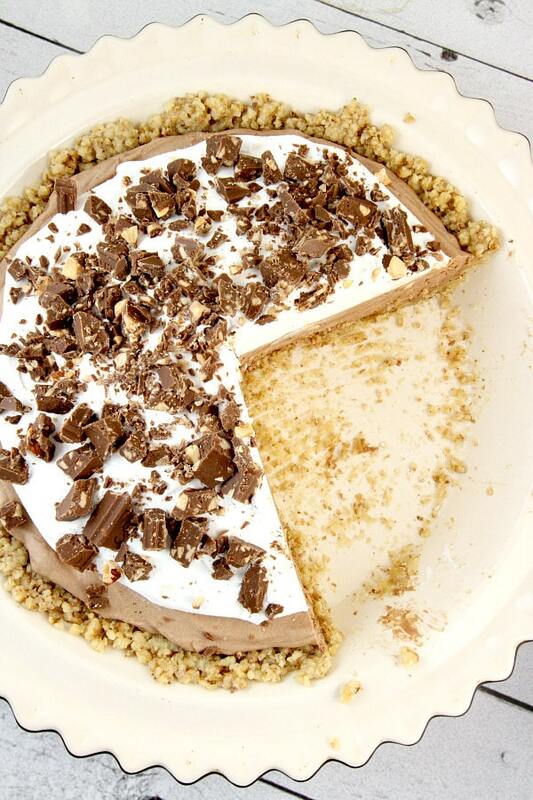 Press onto the bottom and sides of a 9-inch pie plate to form a firm, even crust. Bake for 12 to 14 minutes or until edges are golden. Set aside and let cool. Prepare the filling: In a medium saucepan, combine the chocolate, marshmallows and milk. Cook and stir over medium heat until the chocolate and marshmallows are melted. Remove from heat. Let cool for 30 minutes. In a medium bowl, use an electric mixer to beat the whipping cream and vanilla until soft peaks form. Add the cooled chocolate mixture and gently stir until combined. Scrape the filling into the baked pie crust and smooth the top. Top the filling with whipped topping and sprinkle candy bar pieces on top. Freeze the pie 8 hours or until firm. When ready to serve, let the pie sit at room temperature for 10 to 15 minutes before slicing. If you’re preparing this recipe as gluten-free, just be sure to use brands of candy bars, marshmallows and whipped topping that are known to be GF. 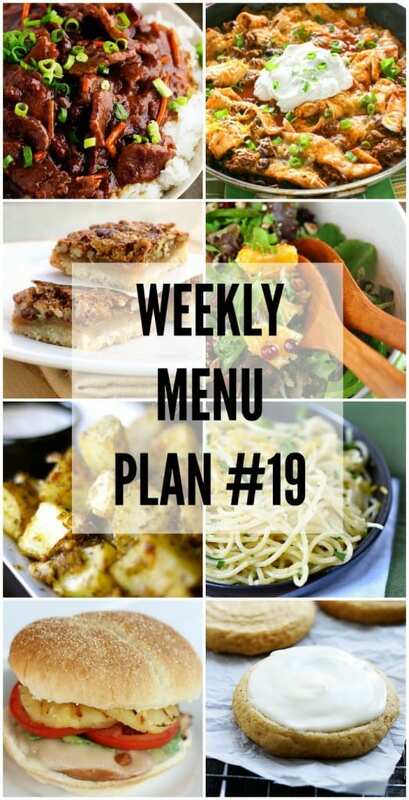 We are on week NINETEEN of our weekly menu plan! We hope you have been enjoying each week of the recipes specifically designed to help you in your recipe planning. We have gotten together with some of our favorite food bloggers to bring you this custom weekly menu plan. We are sharing some of our favorite recipe ideas for you to use as you are planning out your meals for the week. Recently, I had the opportunity of dining at Ruth’s Chris Steak House in Boston. Boston is one of my favorite places in the entire world, and I am always thrilled to experience their restaurant scene. 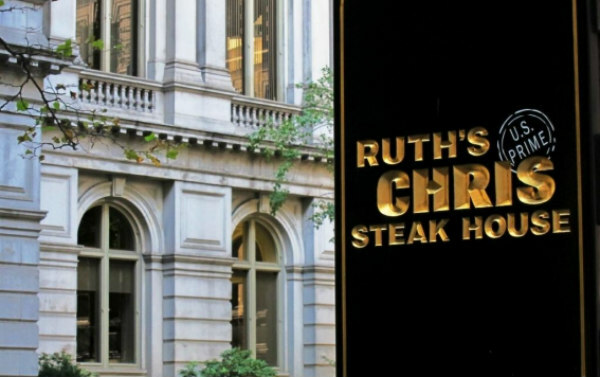 I had been to a Ruth’s Chris once– in San Diego– but fast-forward many years later to check out the Ruth’s Chris Steak House in downtown Boston. It’s in a unique location in their old city hall building- near Faneuil Hall and Quincy Market. It turns out that Ruth’s Chris Steak House is celebrating their 50th year anniversary this year. 50 years in business! History writes that Ruth Fertel bought Chris Steak House in New Orleans in 1965 to help put her teenage sons through college. She had no experience in the restaurant business but learned how to run the business and developed the perfect method for broiling steaks (using an 1,800° broiler!) Ruth’s Chris became the first franchised fine dining establishment in 1976. 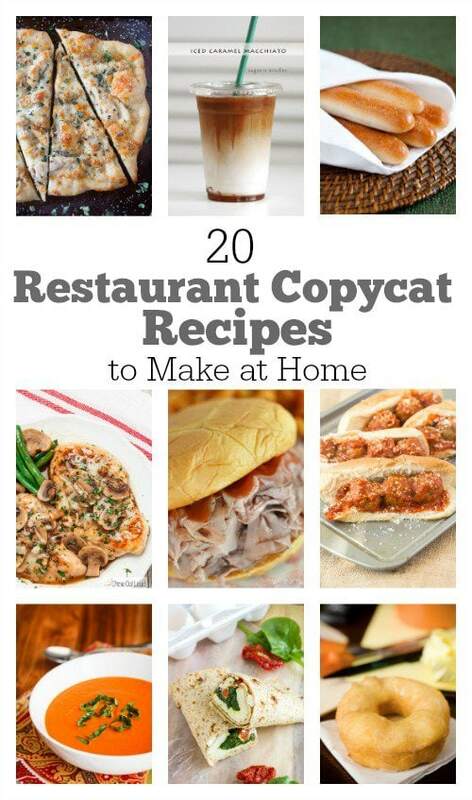 Shared on Parade magazine’s blog recently: 20 RESTAURANT COPYCAT RECIPES TO MAKE AT HOME. There are some good ones in this collection- like Krispy Kreme Doughnuts!! 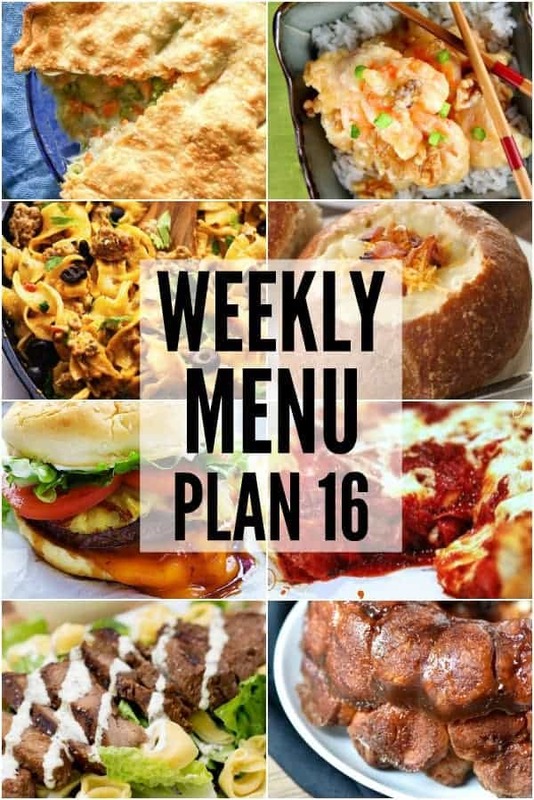 We have gotten together with some of our favorite food bloggers to bring you this custom weekly menu plan. We are sharing some of our favorite recipe ideas for you to use as you are planning out your meals for the week.